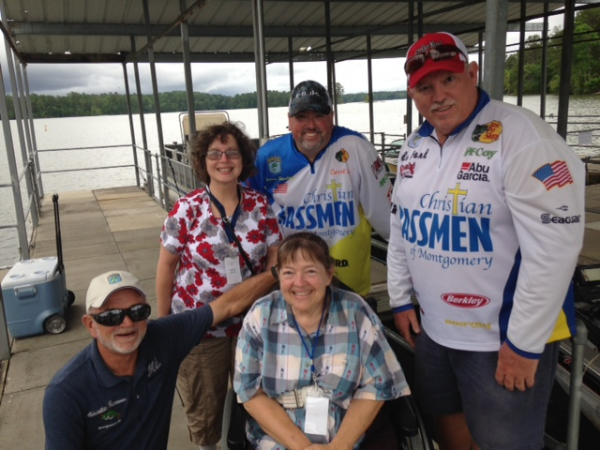 Christian Bassmen of Montgomery (CBM) put on a fishing rodeo for the campers attending Rooftop Friends/Hope Heals camp for individuals and families with disabilities. The location is in Jackson’s Gap, AL held during the week of June 19th at Camp ASSCA. Camp ASCCA provides those with disabilities an opportunity to participate and enjoy camp life with the aid of many volunteers and counselors. Also, it is a time for families to enjoy the facilities located on Lake Martin participating in planned activities without the responsibility of the 24/7 care of their child or loved one. CBM offered the campers a unique opportunity to go fishing in a bass boat with the help of club members. The plan for the fishing activity began about 6 months earlier, but rain was in the area and fishing did not look like a possibility. 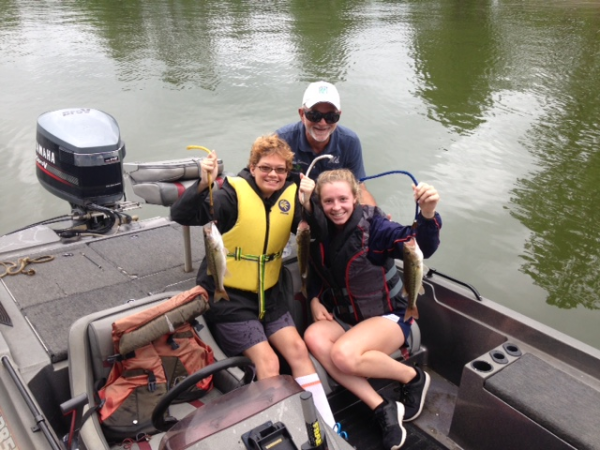 The rain held off long enough for eleven campers to experience fishing Lake Martin and catching fourteen bass. Those participating for CBM were Larry Connell, Mike Brank, Melvin Davis, Larry Liveoak, guest Tommy George, James McCay and Harvey Starling, club president. The men of CBM value opportunities where they can serve others such as giving to charities, providing food, or participating in events to help others such as the campers at Camp Ascca. To see the excitement of the campers, the look on their faces, the joy of catching a bass was a blessing beyond measure for the men participating from CBM. How exciting it was to see Melvin Davis enabling a young lady to have the thrill of reeling in a fish, or watching two men lift several campers from wheel chairs into a bass boat, or having a three year old camper only wanting to put his hand over the side of the boat into the water, laughing and having a wonderful time. All of the CBM members were thanking and praising God for being allowed to bring a little joy into the lives of those with disabilities and memories that will not soon be forgotten. Based on the feedback from all the campers who participated, parents and staff of Rooftop Friends/Hope Heals, CBM will be asked to be back next year. The fishing outing was a tremendous success.